Project ‘?’ is an art intervention project that takes its’ inspiration from Bojúbojú. 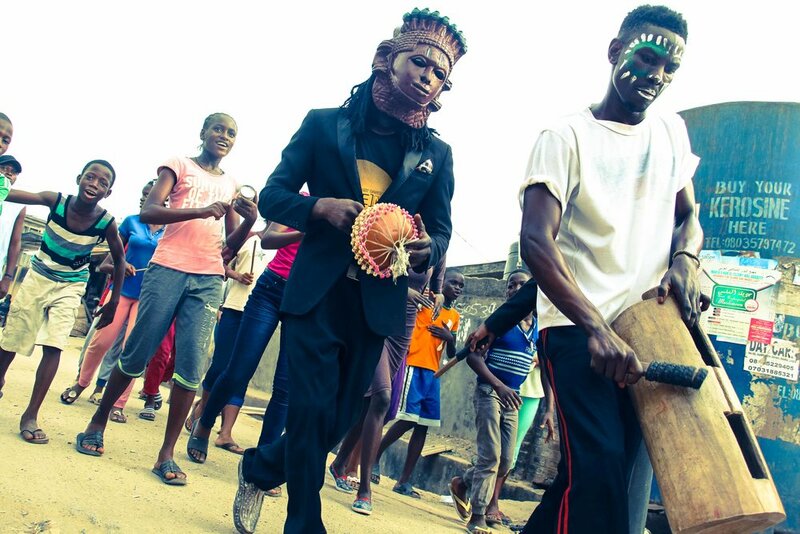 Bojúbojú is a Yoruba term that denotes both, a children's rhyme, which is a song of praise and respect for Nigeria’s rich culture, as well as a children’s game, which loosely translates as ‘hide and seek’ into English. Masks and masquerades are inherently linked to the concept of Bojúbojú and this is where our project takes off. 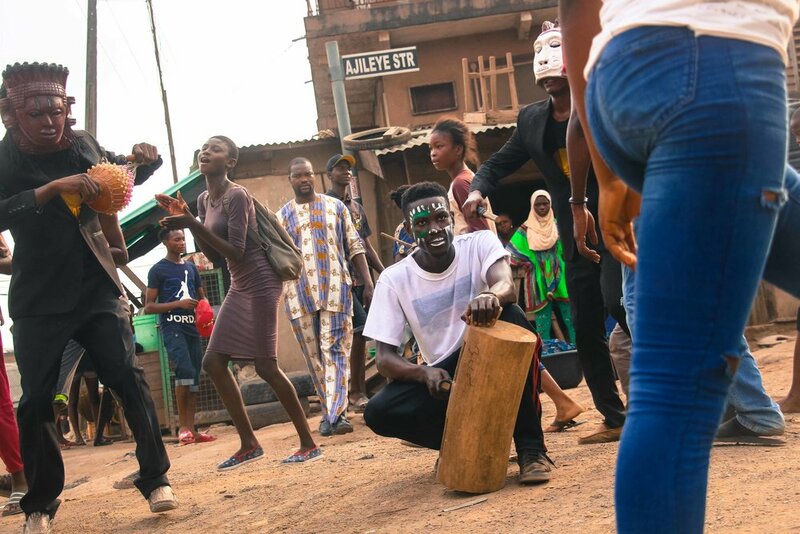 We are creating new stories about Nigerian masks that have travelled through different hands and have been removed from their context. Masks that are kept and exhibited in public museums across the world. Yet, the theme our project addresses is twofold: it is as much about questions concerning reparation of African arts and craft, as it is about the systematic neglect of our own history as illustrated by the deplorable state of artefacts and museums in Nigeria. The aim of our project is to raise questions and to open spaces for discussions. 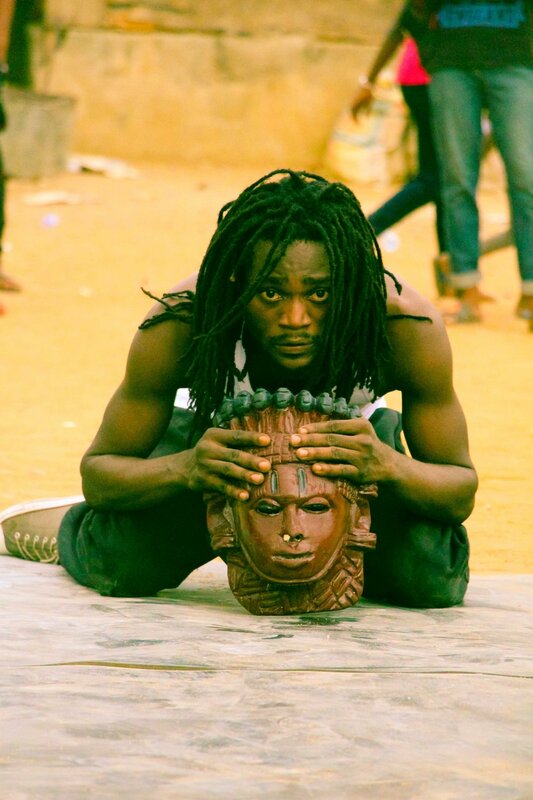 We do acknowledge that the present keepers of Nigerian masks safeguard them as archival material and recognize their value. However, do they truly understand the cultural context and practices that surround the masks? Put differently, if the masks that are held in museums in Europe and North America would wake up and walk through the city, how would people respond? 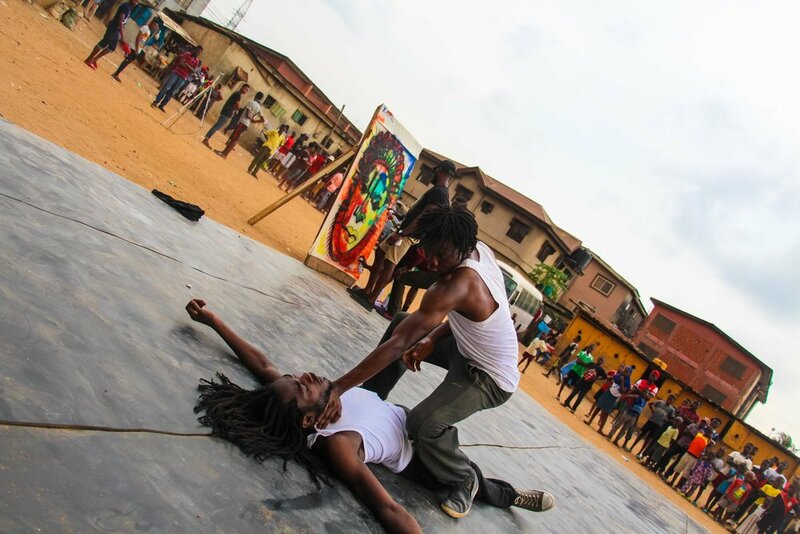 Project ‘?’ is an interdisciplinary and participatory art intervention taking place in the streets of Bariga, Lagos and will be comprised of live painting, live video art, live sound art and dance-theatre. The project’s methodology is based on notions of archiving and the archival. 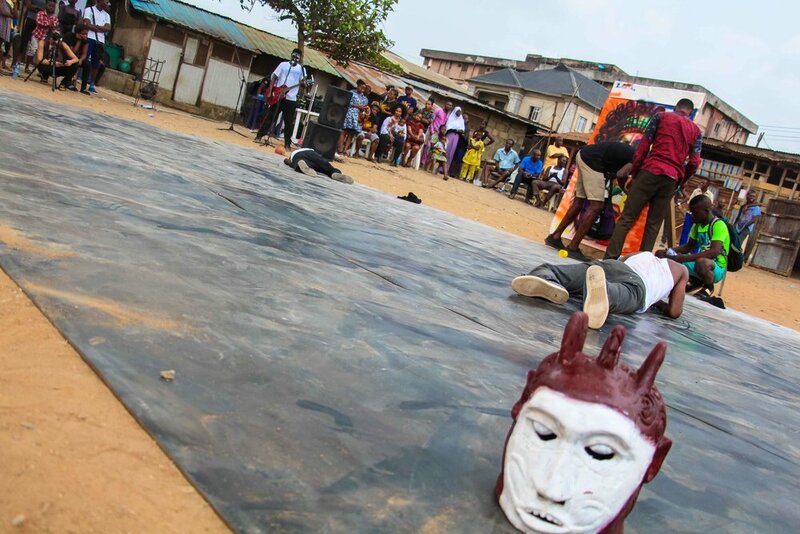 By doing so, we are hoping that each performance will turn into an archival document in itself, creating future reference material on Nigerian masks and their history/story. Project '?' first public test poster (to the left, Photo by Hughes Dubois). Video Montage of first test below (Opening Photo: Armand Auxilitre/Galerei D'Art).